ICANN has revealed the list of possible new domains in a press conference in London. Head over to icann.org to see the full list. Some of the more bizarre are: .barefoot, .beknown, .dot, .hot, .whoswho and .zulu. ICANN, the Internet Corporation for Assigned Names and Numbers, is set to reveal what domains have been proposed to go alongside dot com, in what is being called the biggest land grab in web history. 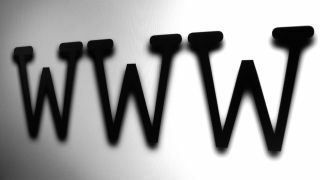 Given the number of internet addresses created on a daily basis, ICANN has been asking for suggestions to fix its suffix problem and has so far received 1,930 proposals. Most of these have come from the US and Europe (911 and 675 respectively) and of the 1,930 suffixes proposed 1,181 were completely unique. The list is set to include such suffixes as: .Doctor, .YouTube and .Google and, once it is published, the public will have 60 days to have its say on whether any are trademarked or just plain rude and should be dropped from the list. The proposed names weren't just added by anyone – each suffix on the list would have cost a company around $185,000 to submit and there were around 50 questions to answer before a .com rival was added, so this is seriously big business. The project by ICANN has hit some snags - the whole process was delayed back in April when a software glitch exposed those who were proposing new web siffixes. The potential to drift away from a plain-old .com could generate millions in revenue for those who end up owning the addresses that are chosen, according to analysts. In short: this is one of the biggest shifts ever seen on the internet and it will make the chosen few whose proposals are successful very rich indeed. The whole thing is a rather laborious process, though, the general public won't be seeing the new names until March 2013 at the earliest. The big reveal will, er, reveal which companies want what suffix, however, so we'll soon know the companies desparate to break from their .com shackles.